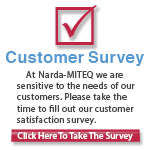 L3 Narda-MITEQ offers thousands of RF/Microwave Amplifiers in the largest standard amplifier product line available today. 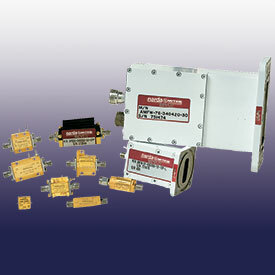 Our amplifier products include narrowband to multi-octave amplifiers in the range from 1KHz to 65GHz. L3 Narda-MITEQ also supplies amplifiers for radio-astronomy, space, high-reliability, military, medical, and many other applications. To find the amplifier that fits your requirements, use use the Amplifier Search tool below or browse the amplifier categories towards the bottom of this page. We have consolidated our amplifier offerings to bring together the best performance and shortest delivery time. Please see our new Amplifier brochure (PDF) for part numbers and performance specs. We still offer our legacy parts, please contact the factory for information. All amplifier products are backed by L3 Narda-MITEQ's 3-Year Warranty and most are available as RoHS Compliant components.